Selling High or Selling While High? Mariners Swap John Jaso for Mike Morse Because They Can. Posted on January 17, 2013 by Notorious B.U.D. “The Beard” is headed south while “The Beast” returns to his roots in the Pacific Northwest. In a three-way deal with Oakland and Washington, the Mariners sent catcher John Jaso to the Athletics in exchange for OF/1B Mike Morse, who spent the last four seasons with the Nationals after starting his career in Seattle from 2005-08. The move is certainly a head scratcher given the glut of 1B/DH/OF’s currently on the Mariners roster, but maybe positional redundancy is the new market inefficiency and Seattle is just outfoxing the rest of the league. Oh what’s the New York, you need an aging slugger who should never, ever play in the field? Too bad! We’ve got them all! Losing Jaso hurts not just because he was the Mariners best hitter last year (.276/.395/.850) but also because he provided a number of highlights in an otherwise bleak 2012 season. Jaso was an easy guy to like; he had a great beard, he provided clutch hits, and he made us forget all about that Josh Lueke fiasco. He wasn’t exactly the second coming of Johnny Bench defensively, but Seattle has been content to roll out catchers like Miguel Olivo, Rob Johnson, and Adam Moore over the past few seasons, so why the Mariners decided defense behind the plate was important all of a sudden is anyone’s guess. 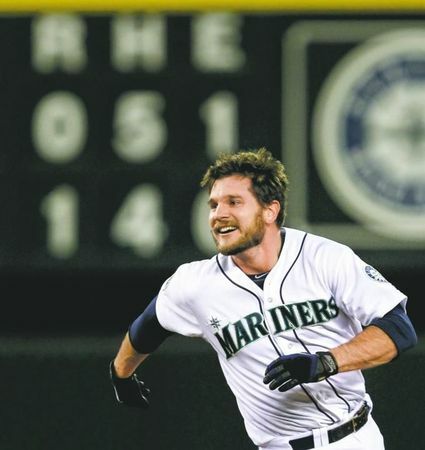 Jaso was under team control for the next three seasons, and despite his superb offensive performance in 2012, Seattle decided that his inability to hit lefties (in a very small sample) and the impending arrival of Mike Zunino was enough of an excuse to jettison a fan favorite. In Morse, the Mariners get a player they once traded for Ryan Langerhans (LOL!) that developed into a productive slugger for Washington (64 HR from 2010-2012). Morse doesn’t draw many walks, strikes out a lot, and is a liability on the basepaths and in the outfield. As a designated hitter Morse would be a valuable asset for Seattle, but with that position likely filled by Kendrys Morales, he appears to be penciled in as the starting left fielder, which negates the majority of his value. To his credit, Morse has said all the right things about his return to Seattle and seems genuinely excited for a second chance with the Mariners. His power is good enough to play in any park and Safeco Field’s new dimensions might allow Morse to crack 25-30 longballs. Is one year of those home runs worth three years of Jaso’s advanced plate approach and high OBP? And what happens to Raul Ibanez, who was brought in to spend time at 1B/DH/OF? Does he take time away from Michael Saunders in right and Justin Smoak at first or is he simply a waste of money and a roster spot? No, this isn’t the worst move in franchise history. Neither was the signing of Ibanez, Jason Bay or Jeremy Bonderman, but taken together, they paint the picture of a front office that has lost its way. Posted on January 1, 2013 by Notorious B.U.D. Carlos Peguero: Close eyes. Swing hard. Eric Wedge: Bury Casper Wells even deeper on the bench. Stroke mustache more. Casper Wells: Stare wistfully at field from dugout. 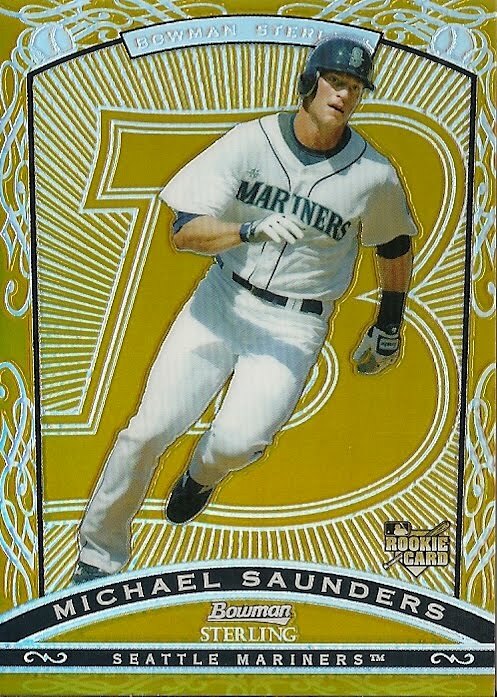 Michael Saunders: Capitalize on his nickname (“The Condor”) and start making bird noises when he hits home runs. Bacaw! Felix Hernandez: Two perfect games. Kendry Morales: Introduce fellow Mariners’ hitters to the mystical powers of Jobu. Hector Noesi: Stop reading the newspaper the day after a start because it always hurts his feelings. Alex Liddi: Get picture of cat eating pizza onto front page of Reddit. Brendan Ryan: Contribute on defense AND at the plate. Charlie Furbush: Work up courage to ask teammates to stop making fun of his last name. Dustin Ackley: Found out more about all this “fiscal cliff” hubbub. Justin Smoak: Play terribly for Seattle. Get traded. Turn into star for new team. Wow! That sure is a lot to look forward to! Opening Day can’t get here soon enough! Maligned Mariners Management Makes Move for Montero: Can Jesus Save Seattle’s Season? Posted on January 15, 2012 by Notorious B.U.D. Hopefully this card wasn't part of your retirement plan, because you know, he's a Mariner now. Seattle Mariners fan(s) complained all winter long (with good reason–did you see the summer blockbuster, “2011: A Baseball Tragedy“?) about the lack of activity from the team’s front office, and now that a substantial and largely unexpected move (though Rob Lowe did tweet about it a few weeks ago) has been made, well, nobody knows quite how to feel. On one hand, Seattle acquired a power-hitting catcher/DH in Jesus Montero who has long been considered one of the best power prospects in the minor leagues. On the flip side, the Mariners had to give up Michael Pineda, a towering right-hander who made the All-Star game in his first season and become a fan favorite for his sizzling fastball and gregarious personality. So how does the trade rate on paper, and where does the move leave Seattle heading into the 2012 season? If the Mariners organization has any strength (try to stifle your laughter), it’s their depth of pitching talent at both the major and minor league levels. Even with Pineda (and the second piece of the trade–Jose Campos) off to the Bronx, Seattle still boasts a farm system loaded with talented arms like Danny Hultzen, James Paxton, Erasmo Ramirez and Taijuan Walker who aren’t that far away from contributing for the Mariners. So while it was difficult to give up Pineda and his 1.099 WHIP and 9.1 K/9, Seattle has a much better chance of replacing him from within than it did of acquiring a free-agent hitter at a palatable rate. What the Mariners boast in pitching however, is negated by a lineup (Seattle scored 299 fewer runs than Texas in 2011) often described as “more unwatchable than Norbit“. 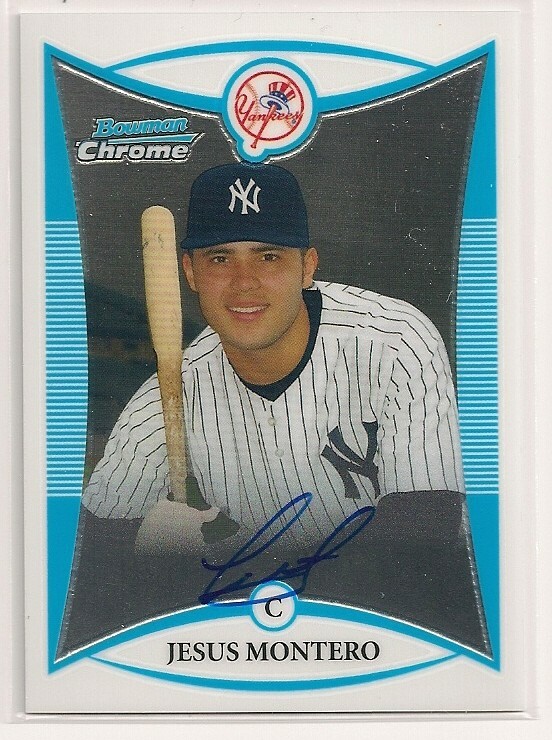 Enter Jesus Montero, a burly slugger who has elicited comparisons to Miguel Cabrera and Paul Konerko while posting a career .308/.366/.501 slash line in the minor leagues, and hitting .328 with four HR’s in 61 AB’s for the Yankees in September. There are legitimate concerns that Montero won’t be able to stay at catcher, but even so, it’s hard to imagine him hitting worse than the combination of Jack Cust/Adam Kennedy at DH. 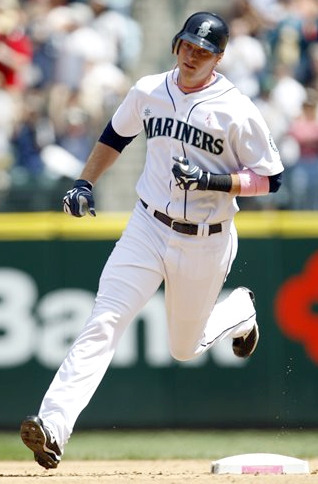 Though Safeco is a tough environment for right-handed hitters (somewhere, in a dark room, Richie Sexson quietly weeps), scouts have raved about Montero’s ability to drive the ball to the opposite field, something that allowed Brett Boone to set a major-league record for HR’s by a second baseman in 2001. If Montero lives up to his sizable potential, it’s easy to get excited about a heart of the lineup that also features Dustin Ackley, Justin Smoak and Mike Carp. It’s not exactly the 1927 Yankees, but it sure is better than anything Mariners fans have seen lately. The other pieces of the trade, Hector Noesi to Seattle and Jose Campos to New York, benefit the M’s in the short term as Noesi can slide in as a fourth or fifth starter in 2012. Noesi has proven he can handle major league hitters in the treacherous AL East, but he doesn’t have the upside of Campos, who dominated the Northwest League in 2011 to the tune of a 2.32 ERA, 0.971 WHIP, and a ridiculous 6.54 K/BB ratio. Campos looks like another Pineda in the making, but is years away from contributing at the major league level, and when it comes to pitching prospects, there’s no such thing as a guarantee (remember Ryan Anderson). The Mariners aren’t going to compete for the AL West crown in 2012, but if nothing else, this move makes them infinitely more watchable. A full season of Montero, Ackley, Carp, and the possible return to form of Justin Smoak gives M’s fans reasons to believe that the worst of times are behind. Heck, Seattle might even flirt with .500 in 2012 (although they’re far too shy to ask it on a date). It’s not the end of the long climb back to respectability, but it’s a start. Mariners Monthly Roundup: September/October “Free at Last” Edition. Posted on October 4, 2010 by Notorious B.U.D. AL West pitchers are quickly learning that second hand Smoak can be deadly. Top Hitter: Ichiro turned it up a notch in September (.342) to continue his extraordinary run of 200 hit seasons but it was a talented rookie who gave Mariners fans the most reasons to cheer in the season’s last month. 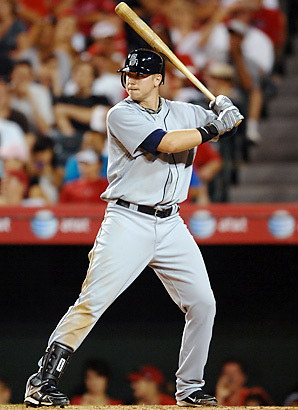 First baseman Justin Smoak looked like the player we envisioned the team was getting the Cliff Lee trade, posting a line of .325/.400/.525 in September/October, including a string of three straight games with a home run. In a lineup utterly devoid of any power, a full season of Smoak will be just what the doctor ordered for 2011. Top Pitcher: Even if he doesn’t win the AL Cy Young Award (he does play on the West Coast after all) Felix Hernandez still finished the season with a bang, posting a 3-2 record in September with a 1.64 ERA and only 20 hits allowed in 38 innings. Hernandez finished the year ranked first in innings, first in ERA, second in K’s, second in WHIP and third in complete games, and oh yeah, he’s still just 24-years-old. King Felix gave Mariners’ fans something to look forward to every five days and provided hope that things won’t be this bad forever. For all the flak that Jack Zduriencik has received this season (and deservedly so) we should be very thankful that he got Felix inked to a contract extension. Now let’s just hope we can get him some run support in 2011. Biggest Surprise: After doing absolutely nothing at the plate all year long, Jose Lopez went bananas in a September game against Toronto, hitting three longballs and driving in four runs. Of course he did it at a time when the Mariners couldn’t trade him, instead just stealing time away from young players who needed major league at-bats. Thankfully, he jammed his finger shortly thereafter and was shut down for the rest of the season–if only that had happened in April. Biggest Disappointment: Everyone except Felix and Ichiro. Home Run Tracker: The Mariners finished the season with the same number of home runs (101) as losses. Woof! Injuries: Matt Tuiasosopo and Ryan Langerhans both had surgery to remove bone chips from their elbows. Erik Bedard is on a steady diet of tough pills to prepare for next season, but no one’s holding their breath. It’s dangerous. Lingering Questions: Why did I pay to go to five Mariners’ games this year? Why did anyone pay to go to any Mariners’ game this year? Will anyone miss Casey Kotchman or Jose Lopez? Did we just witness the worst offensive season in the history of baseball? How was Dave Niehaus able to keep his sanity in the broadcast booth? Will my heart ever recover? Can I ever love the M’s again? Do they even deserve a second chance? Who will be the manager next season? Deal With the Devil: Will Seattle Regret Not Trading Cliff Lee to the Yankees and What Is Josh Lueke’s Future in Seattle? Posted on September 25, 2010 by Notorious B.U.D. Will Josh Lueke ever be allowed to pitch for the Mariners? Should he be? If you haven’t been paying attention to the Mariners lately (instead choosing to enjoy life and not indulge in masochistic urges) it’s likely that you missed the latest controversy surrounding the team–and it has nothing to do with play on the field. Flashback to July, when the Mariners had a deal in place to trade Cliff Lee to the New York Yankees for a package of prospects including top-hitting catcher Jesus Montero, only to nix the trade at the last-minute in order to take a “better” offer from division rival Texas. At the time it seemed like a major coup for the Seattle front office, as they acquired powerful switch-hitting first baseman Justin Smoak and a former first round pick in pitcher Blake Beaven. However, after the initial euphoria lifted, things quickly began to unravel. One of the lesser known players in the trade, reliever Josh Lueke, had been convicted of a horrific crime–one that the front office was apparently clueless about (despite the fact that a simple Google search would bring up the information from Lueke’s case). Team president Chuck Armstrong and general manager Jack Zduriencik both claimed not to know the extent of Lueke’s criminal record, even though former pitching coach Rick Adair said he told the front office everything he knew about Lueke on and off the field. This set off a back and forth between the Seattle front office (who claimed to have been misled by the Rangers) and Texas (who stated that Lueke’s background was common knowledge and that they had offered to take him back) and eventually led to the firing of professional scouting director Carmen Fusco, a personal hire of Zdurinciek and a 35-year baseball veteran. Selling Fusco as the scapegoat didn’t quell the controversy though, and serious questions continue to linger about the M’s front office and the future of Jack Zdurienciek in Seattle. 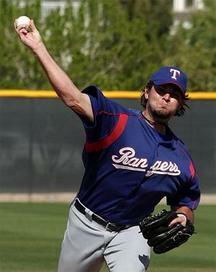 There’s no denying that Lueke is a talented pitcher (5-2, 1.86 ERA and 94 K’s in 63 innings at three minor league stops in 2010) but there are plenty of questions surrounding the Mariners’ decisions making in the process and what Lueke’s role with the organization will be moving forward. Seattle certainly needs help in the bullpen (apologies to Chris Seddon and Jamey Wright) but is bringing aboard a pitcher with Lueke’s history worth the potential damage to the organization’s reputation–especially an organization that has been so outspoken about domestic violence? The team had a chance to call-up Lueke when rosters expanded but balked at the opportunity, likely due to the outrage surrounding the “discovery” of his crimes. 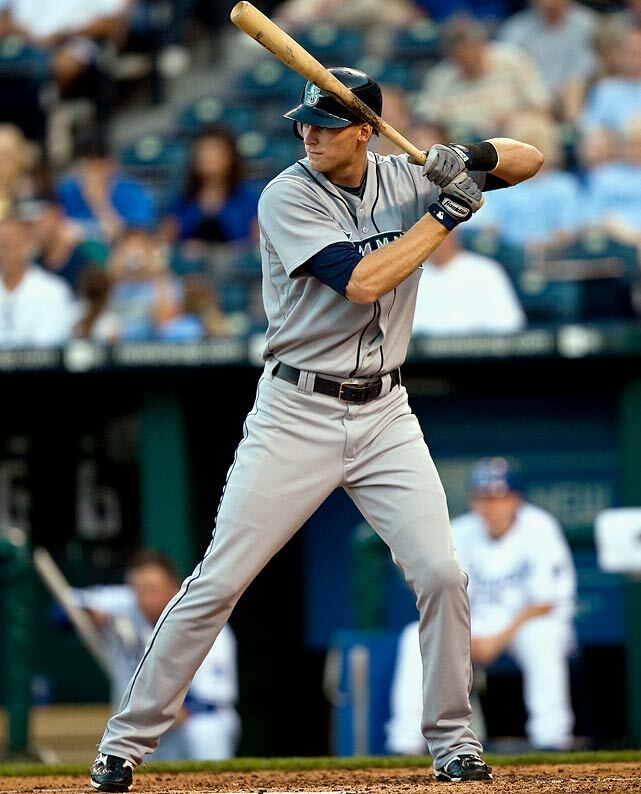 Will the response of fans be any different if the Mariners wait until next season to promote Lueke? Despite the fact that Lueke has paid his debt to society (spending 40 days in jail), it doesn’t change what he’s done and it won’t change how he’s viewed by fans and the community. If the organization knew about his past and still completed the trade with Texas it’s clear that the Mariners puts winning above all else, and if that’s the case, they had better start winning (maybe we could become the baseball version of the Cincinnati Bengals). If Seattle truly didn’t know about Lueke’s criminal record (highly, highly unlikely) then the organization still has a responsibility to be upfront with their fan base about the situation and act accordingly, even if that means trading away or cutting Lueke. The Mariners made a colossal P.R. mistake by bringing aboard Lueke and the organization needs to act fast in order to save face–this isn’t an issue that will just go away if it’s ignored. No matter how this issue plays out, it’s clear that the Seattle front office isn’t the model of perfection we though it was, and that Jack Zduriencik might not be the man to lead the Mariners back to the playoffs. This whole firestorm could have been avoided if Seattle had just followed through on their trade with New York, but it appears that by trying to burn the Yankees, the Mariners torched themselves.